With operational tempos higher than ever stress can take its toll on servicemembers and their families. 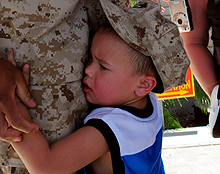 Marine and Family Services has a number of resources to help keep life in balance. Support is just an email or phone call away.